Something strange has happened to me tonight on 1/29/2018 and would like some sort of answers but first let me start of with a brief backstory. In a 17 yr old who lives with my great grandma and me mum. The house is on a no outlet street that has 4 cemeteries on it and is surrounded by woods. Basically, my house is a stereotype house for disaster and i think it's starting to begin. So basically I was doing my usual thing that I do at night. Making beats on my laptop and talking with friends on Discord. I had gotten up to grab some soda and heard this weird peaceful yet creepy flute sounding noise. I opened my window to check and see if it was coming from outside which it was. It was coming from the end of the street. I went to ask me mum if she heard it, but she didn't. The noise stopped for a a little bit, roughly 3 mins, and it goes again. This time is the weird time tho. I became unnervingly nervous/terrified and didn't move for a good 5 mins just staring at my window until the noise stopped. Once it stopped I got back on my laptop and searched up what happened and found this forum. If you guys could help me come up with a idea of what the sound is, share a similar experience or know a solution, that would be greatly appreciated. I'll be eagerly waiting for responses cause I'm still kinda shook by the whole thing. Edited by HarveyQuinn, 29 January 2018 - 12:26 AM. I have heard people hear the sound of ringing but never being terrified by it. I often hear music that no one else seems to be able to hear but I don't get any bad feelings from the experience. Two things that come to my mind are: It could be some kind paranormal anomaly or it could be just the sound of someone's music playing during the night. Sound waves transmit further during the night than it does during the day because of the refraction of sound and air temperatures. it was just a single tone. It couln't have been from others music because no one blasts music on our street cause everyone except me and me mum are old and go to bed at like 9. I'll stay up tonight and try to record it. Edited by HarveyQuinn, 29 January 2018 - 03:12 PM. it sounds like this video clip but only one constant note no changing pitch. Edited by HarveyQuinn, 29 January 2018 - 04:31 PM. Possibly squeaky brakes of a car in the distance, or wind blowing through wire or metal sheets may cause these sort of sounds. If you could record the sound if it happens again we may have a better idea what it may be. Considering there are cemeteries nearby, it could be something that someone decorated a grave with. alot of people have died in the house and the fact its by 4 cemeteries and nobody else could hear it even tho I could. Edited by HarveyQuinn, 30 January 2018 - 12:35 AM. Edited by HarveyQuinn, 30 January 2018 - 12:43 AM. It was only the 2 of you. One heard it and one didn’t. As we age there are certain tones we can’t hear. My kids had an app once ( It may have been a dog whistle app). They were playing around with it and they were able to hear some sounds (higher pitched tones) that I couldn’t. Definitely try to record it. You could always try to look for the source. Edited by lorac61469, 30 January 2018 - 05:33 AM. Very eerie especially considering you're surrounded by cemeteries and woods. Does the sound only happen at night? Have the sounds come approximately the same time of night (or day)? And do you know if it was windy during these times? I hope you get the chance to record it. Or even better get video while it's happening. Sometimes we see or hear things in video that we missed at the time of the recording. Good luck and hope you figure this out. 1. Something that someone might have attached to a grave site is a strong possibility. 2. Wind blowing through wire or metal. I would think one of the above suggestions would be the most likely causes. And as was mentioned by Lorac...your mum may not be able to hear that particular pitch/tone. If you're brave and it happens again.... you might want to try taking a walk in the direction of the sound. And as Skoden brought up... was it windy that night, even a little bit? If it was, then we would have to consider something on a grave site that's creating the sound. So again... maybe a walk would reveal the source. 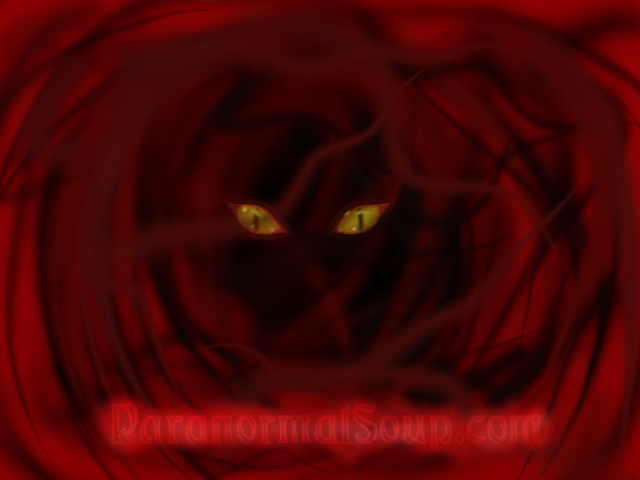 If it is a haunting (unlikely), it could be calling you. So if that's the case... a walk would not be a good idea. I guess I should ask... have you been out in the cemetery at night lately? And if so, did you do anything that might have aroused or offended the local creepy entities? I never go outside at night as it's way to creepy. I don't think I could have offended any entities. Also no one comes to decorate the graves. And it was like no wind. Now there was a murder at the end of road. I just remembered that. I do have this reoccurring nightmare of me running through the woods. Maybe that has something to do with it Idk. I heard the sound again last night but was unable to record it. It won't show up in the.recording. I don't feel you could have offended any entities either. With your recurring nightmare maybe the sound can trigger the nightmare? i had the nightmares before the noise started. What kind nightmare was it? Edited by PhantomThief, 03 February 2018 - 08:09 AM.